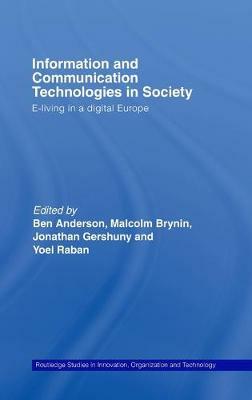 There is a growing body of work examining the `consequences', or more accurately the inter-relationships between information and communications technologies (ICTs) and society at the microsocial (individual, household) level. The vast majority of this work has so far been focused on the US and the subsequent publications have consequently provided predominantly US-centred analyses. This book will re-dress this balance by providing analyses of the situation in Europe and is associated states and placing the analyses in the context of both European and International research and policy debates. The book uses data from a range of European countries as well as comparisons with Asia and the USA. Students and academics from a range of disciplines including sociology, business and management and new media will find this book to be a valuable addition to their reading lists.